If you have an employer-sponsored clinic, it’s only natural to want to know what your return on investment is. 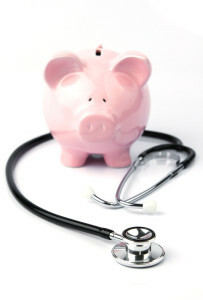 After all, one of the reasons you implemented the clinic was to save on health care costs. The problem is, there is no single defined way to determine the ROI from your clinic, and if you don’t know the right questions to ask, you could be getting meaningless answers. If they are looking only at your claims and encounter data, they cannot give you a reasonable answer regarding your ROI. 1. Are initial construction costs included and amortized over a reasonable amount of time? 2. Did you include the monthly operating expenses of the clinic – rent (owned or leased), utilities, maintenance, janitorial, etc? You might be surprised how often these real costs are “overlooked” when computing your ROI. Chances are, your broker will give you a funny look and say “I really don’t know”… if they are being honest. And if you want to have some REAL fun, ask the same question of your insurance company or TPA. You’ll likely get the same befuddled look, followed by a response that begins with “depends…” Which means they either wet their pants, or they have no idea what the answer is. The bottom line is – the ROI of your clinic is a complicated calculation, and includes lots of inputs including intangibles that don’t have a specific financial return. If your broker/consultant doesn’t know, and your insurance company and/or TPA doesn’t know, how could your clinic manager know? And how can you disprove an answer like that?